So far Jan has created 10 blog entries. What more to say? It's been carefully tested (many thanks to all who collaborated as beta testers), it's out, it's public. We wish our new baby a good start and we wish you a good experience while using it. 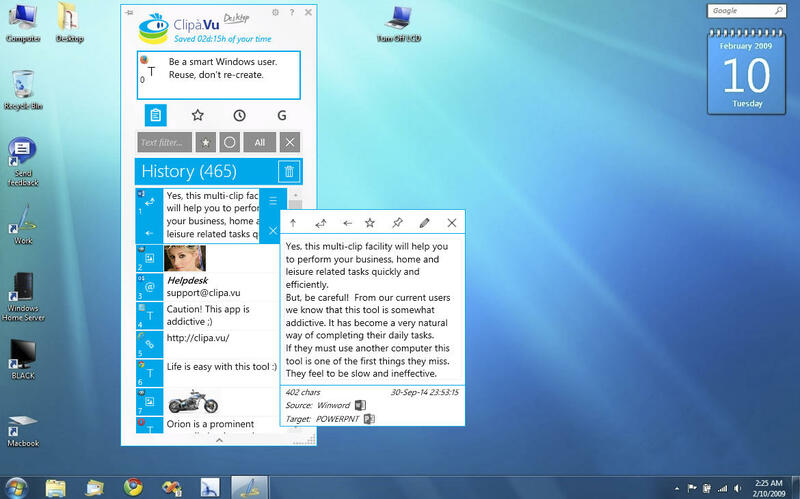 Clipà.Vu Clipboard for Windows Desktop reached its Beta 2 phase. The installer has been sent to 100+ beta testers. Let's wait for their experience but we are optimistic and can claim that now we are only weeks away from the public release. 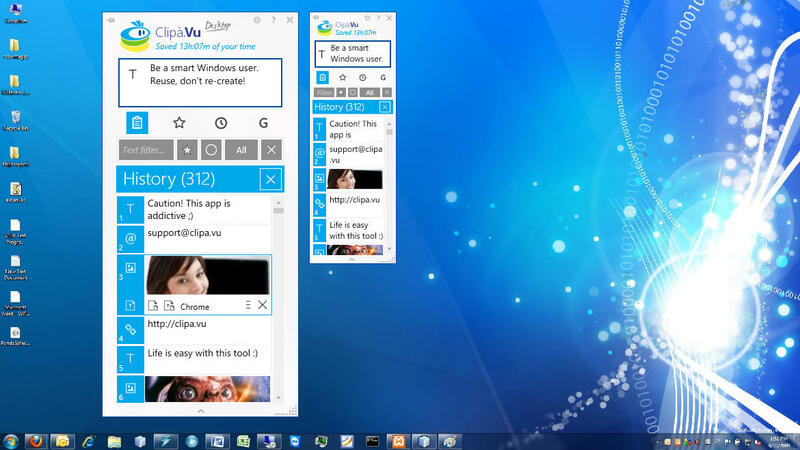 Today we released new Clipà.Vu versions for Modern UI (Metro) interface. New features? The most noticeable is the image support. Also the option to pin history clips might be found very handy - we hope. 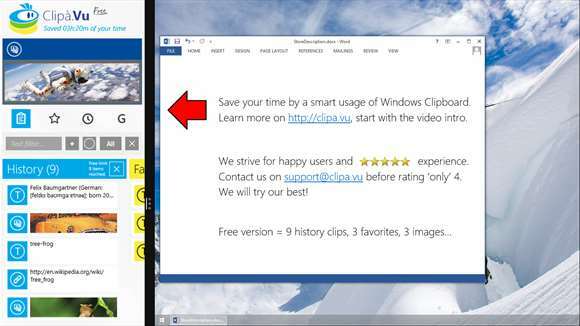 You can get Clipà.Vu Free, Lite or Pro edition in Windows Store. From today on you can sign up for our newsletter. We will use this channel very sporadically announcing major features / events / apps only. Follow us on social media to get the latest news. It was a looong and painful process... but at the same time very creative and exciting one! And now we have a result - the very first video about our product. Watch it on our Homepage or directly on YouTube. We hope that it helps all the newcomers to grab immediately what is Clipà.Vu about. 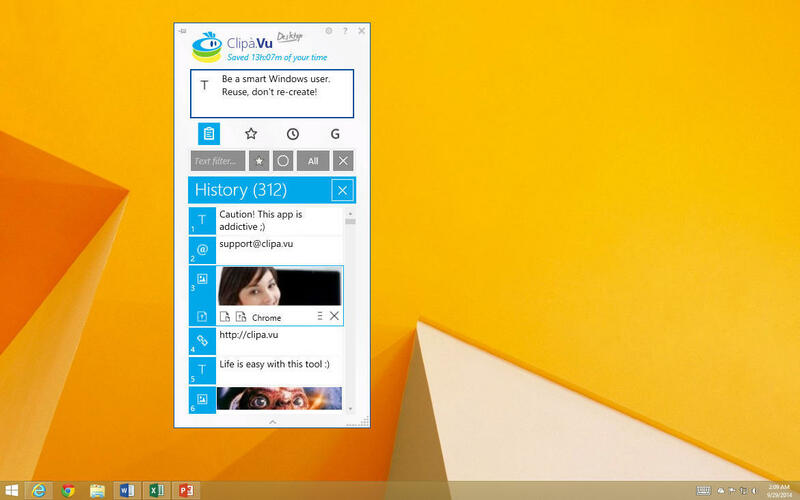 We are happy to announce that the first version of Clipà.Vu landed in Windows Store! 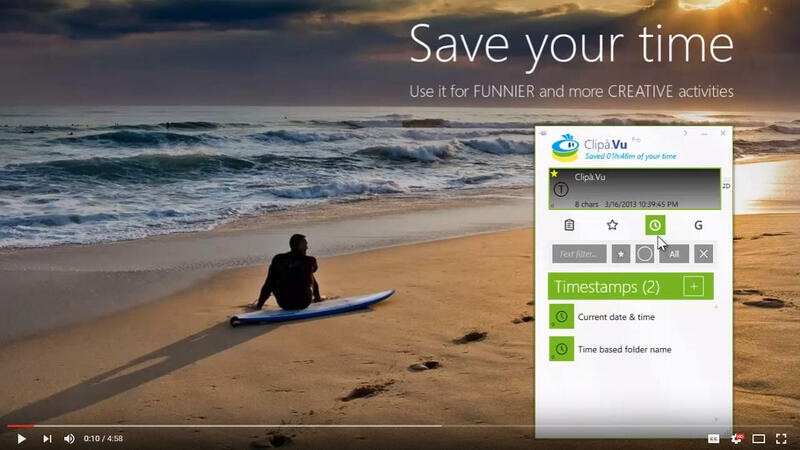 It is called Clipà.Vu Clipboard Free, it's really free and it's is the first and the simplest version from a planned series of Clipà.Vu products. 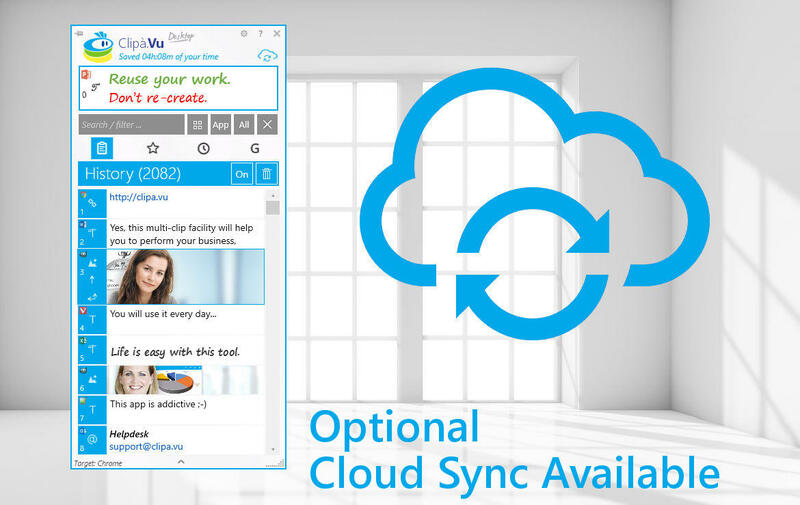 Go ahead and install it from Windows Store for free.